Welcome to The PEER 150 CISO & Cyber Security National Summit! The members of The PEER 150 are honored to host a destination event of networking, content, and company HQ visits in the Bay Area November 8, 2018. Attendance is reserved for current members of The PEER 150 as well as select guests and colleagues approved by our PEER 150 team. 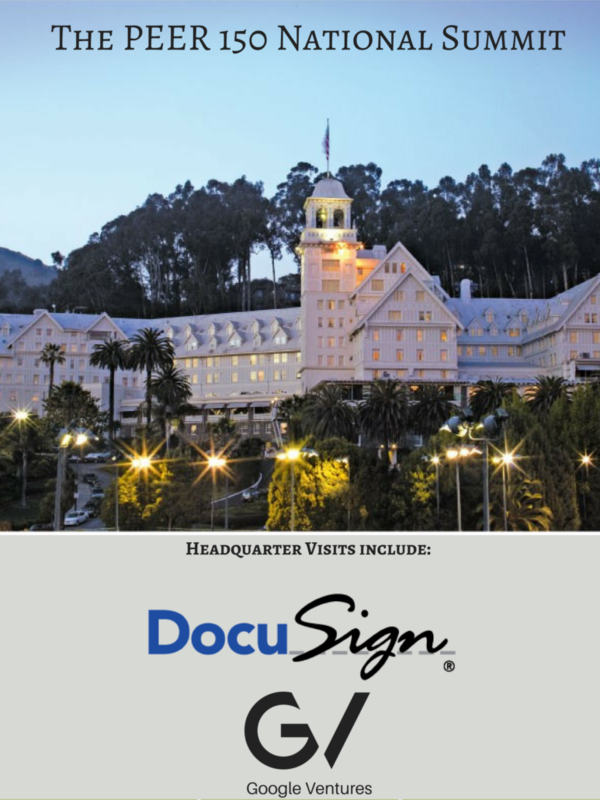 The event will be filled with unique and exclusive access to Google Ventures (GV) and DocuSign HQs with unfiltered discussions and content. It is also a chance for our members to network and share ideas. GV provides venture capital funding to bold new companies. In the fields of life science, healthcare, artificial intelligence, robotics, transportation, cyber security, and agriculture, GV’s companies aim to improve lives and change industries. GV’s team of world-class engineers, designers, physicians, scientists, marketers, and investors work together to provide these startups exceptional support on the road to success. Launched as Google Ventures in 2009, GV is the venture capital arm of Alphabet, Inc.
Is blockchain over-hyped or under-hyped? Which should hold sway: the opportunities or the risk? And how can we manage risks while exploring the potential of the technology? This panel discussion will examine blockchain from the diverse perspectives of business opportunity, societal goals, security challenges, practicality, and legal exposure. Getting the right cybersecurity means working with the business to understand that perspective, to reach the right investment decisions. Protecting digital assets must be balanced with the rest of the business risks. Organizations have principal missions and lines of business; protecting assets is a way to help them achieve their mission, but it is not the mission itself. Whether starting a cybersecurity program or expanding a program because business is booming, a correct cybersecurity risk perspective will help justify the cost of the investment. There are multiple HQ stops and presentations for the Human Resources and Marketing PEER 150 groups on Friday that Tech Members are welcome to attend (see the other agendas here: HR, Marketing). If you’re interested, please let Sara Bindl know at SaraBindl@thepeer150.com.